Picture from Jeff Vaghini's Facebook page. 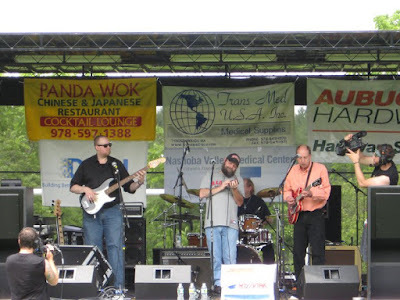 The Gary Wilson Blues Project played in Groton last weekend at the Pages For Peace festival. It was a great gig and a great setup on one of the best stages this year. I want to send thanks out to everyone who made the trek out there on a hot and muggy Sunday morning.